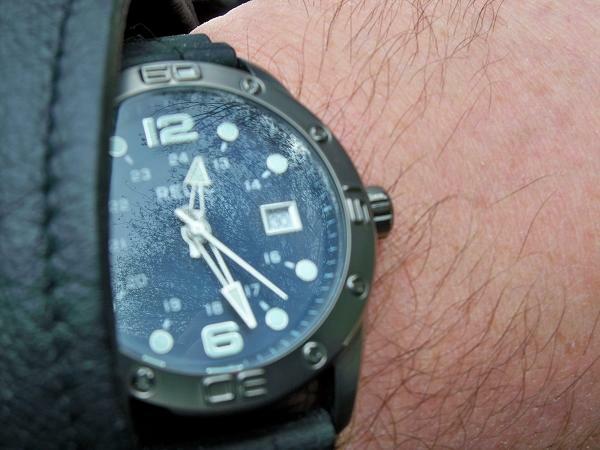 Need a tough looking watch? 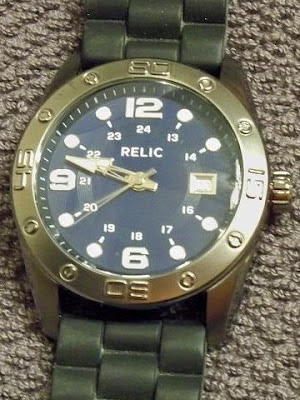 Check out the Relic Detroit (ZR11924). The lighting brightens it considerably in this photo, but it's a dark, brooding, tough looking timepiece. I like how it evokes classic diver-style and military-style watches. This watch is perfectly appropriate for the office. The rugged looks of this watch are great after hours. Below, the Relic Detroit goes well with my leather jacket.